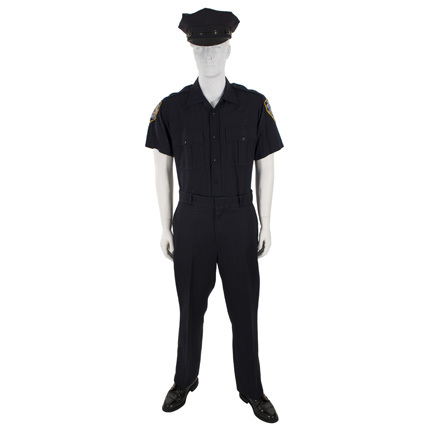 This New York Police Department patrolman's uniform was worn by the character "Eddie Dugan" portrayed by actor Richard Gere in the 2009 motion picture "Brooklyn's Finest" starring Don Cheadle and Ethan Hawke. 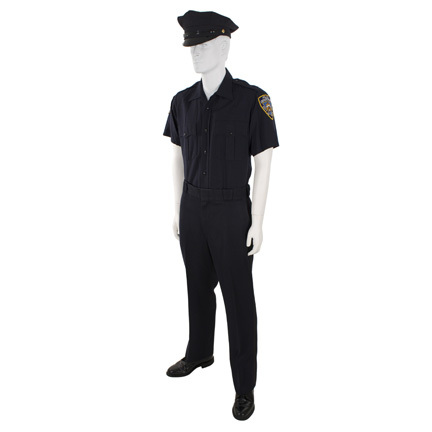 The uniform consists of a navy blue short sleeve button front shirt with flap pockets and shoulder epaulets, matching pants, police officer's cap, and a pair of black patrolman's shoes. 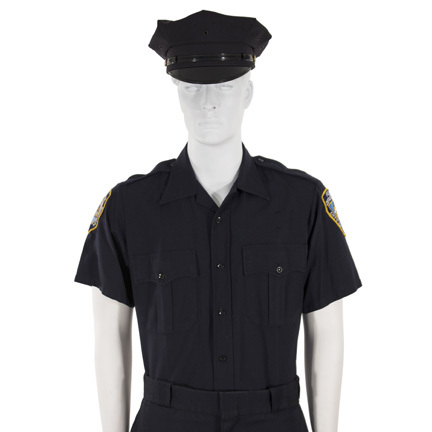 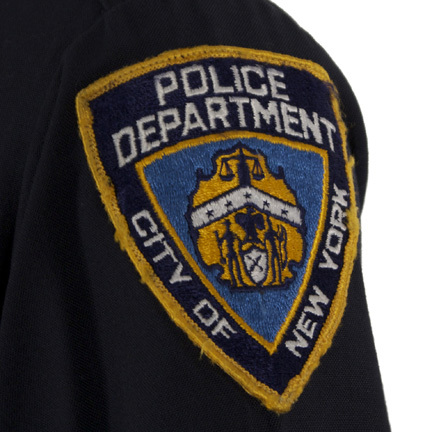 The shirt has New York City Police Department patches on each shoulder as seen in the film. 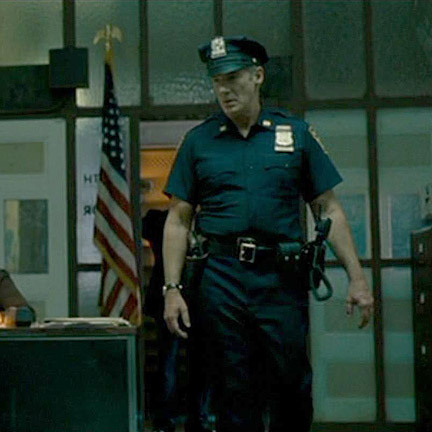 Mr. Gere wore this uniform in multiple scenes throughout the picture, in which he portrays a jaded alcoholic patrolman on the verge of retirement whose life intersects with that of two very different police officers; an undercover narcotics agent named "Tango" (Cheadle), and a young rogue officer named "Sal" (Hawke) who dabbles in corrupt practices that allow him an easier means of providing for his family. 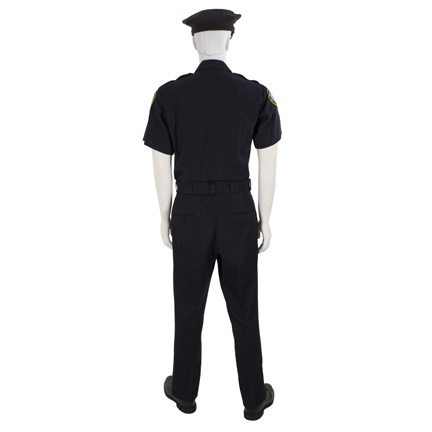 All the garments are in very good screen worn condition and are accompanied by a letter of authenticity from the costume house.